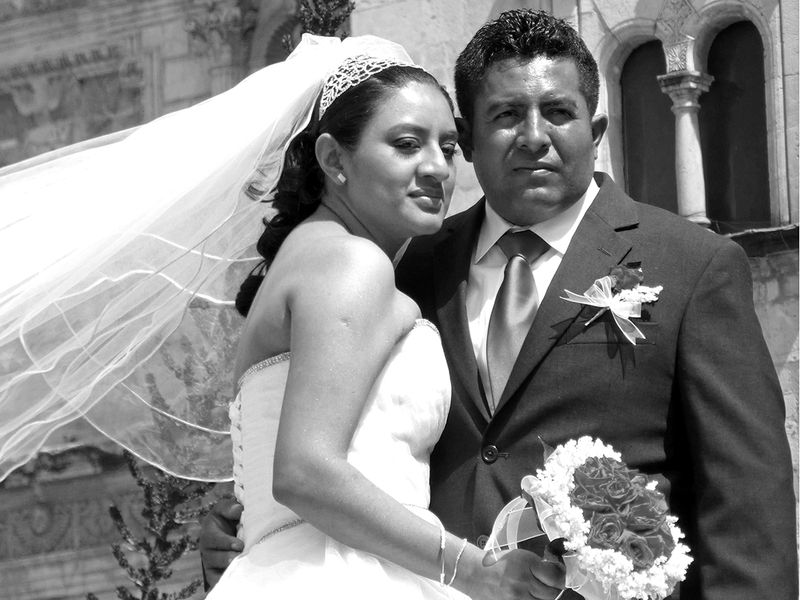 If it’s Saturday, it must be wedding day in Oaxaca. 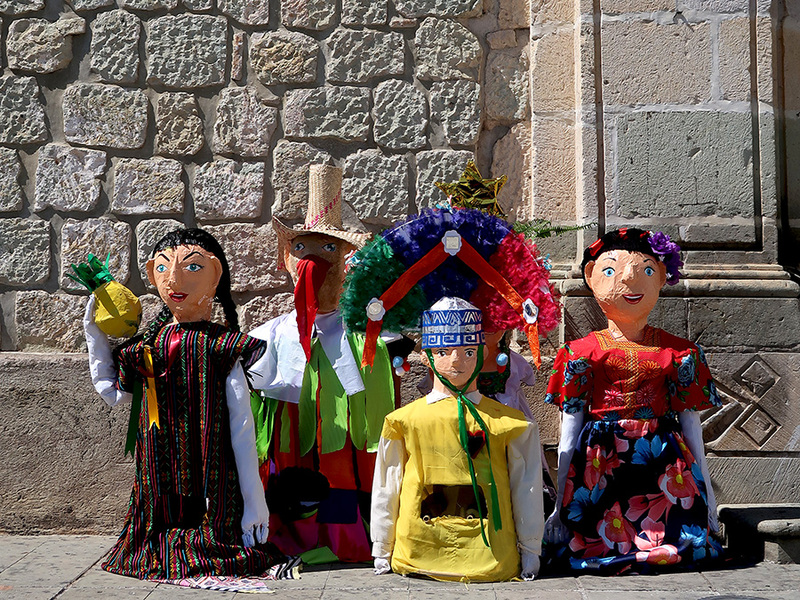 They are scheduled one right after another at several of the churches, especially those on Macedonio Alcalá (the walking street). 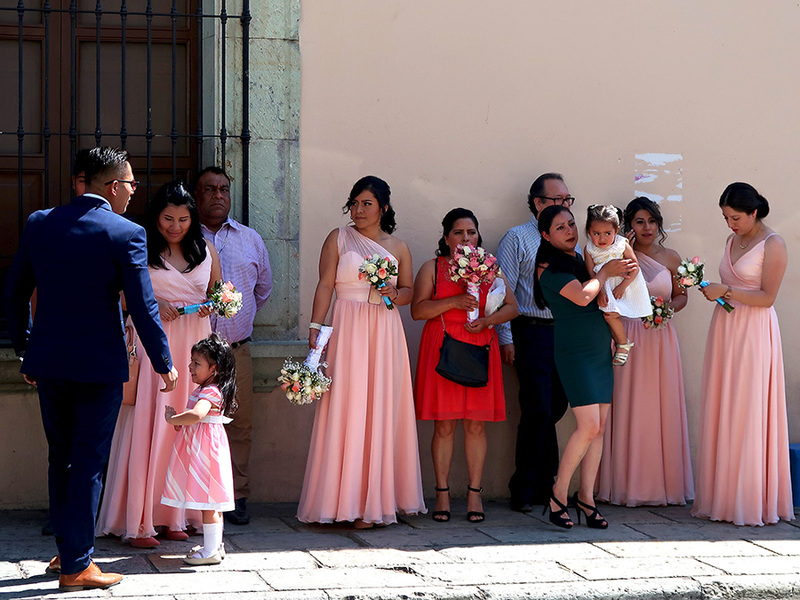 As a result, there is a lot of waiting by the wedding parties, bands, and monos. Our first stop on day five of B’s Week in Oaxaca was the Palacio de Gobierno to see the magnificent Mural of Oaxaca history. Ooops! I had forgotten that the Government Palace was now closed to the public. However, a polite appeal to see the mural, addressed to one of the guards by a couple of tourists (okay, one tourist and one resident), resulted in the guard receiving permission from a superior to let us in. We were instructed, mural only! We obeyed, walking only half-way up the grand staircase to take in the entire work of art. 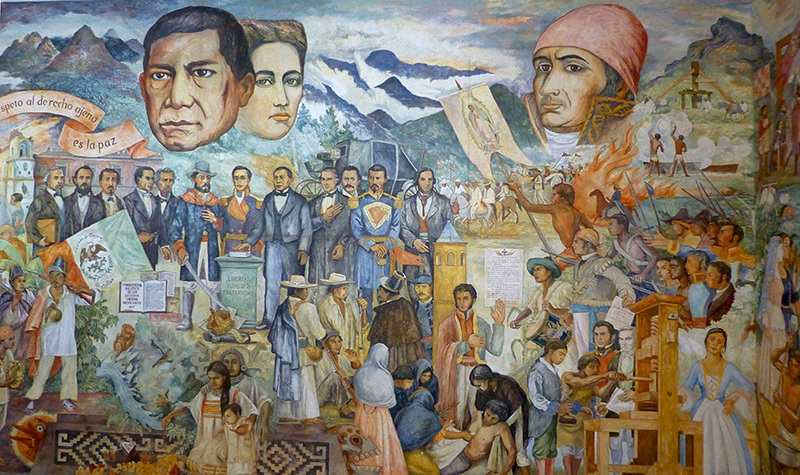 I love this mural by Arturo García Bustos and hope the palacio will again be opened to the public. 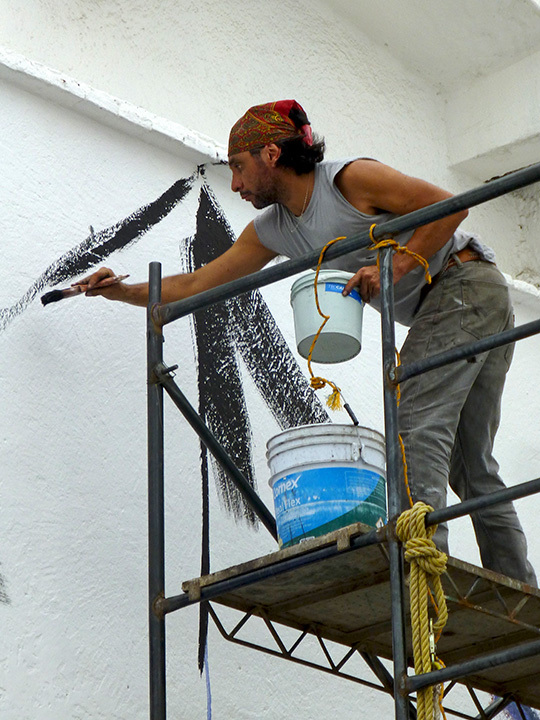 Once we had finished marveling at the Bustos history of Oaxaca, we walked up the Macedonio Alcalá to the Museo de Arte Contemporáneo de Oaxaca (MACO) to check out the Espejos de Cal mural being painted in the courtyard by Jesús González. Engrossed in watching the mural unfold and fascinated in the technique explained by the artist’s Russian assistant, we never made it inside this treasure of a museum. Next time! 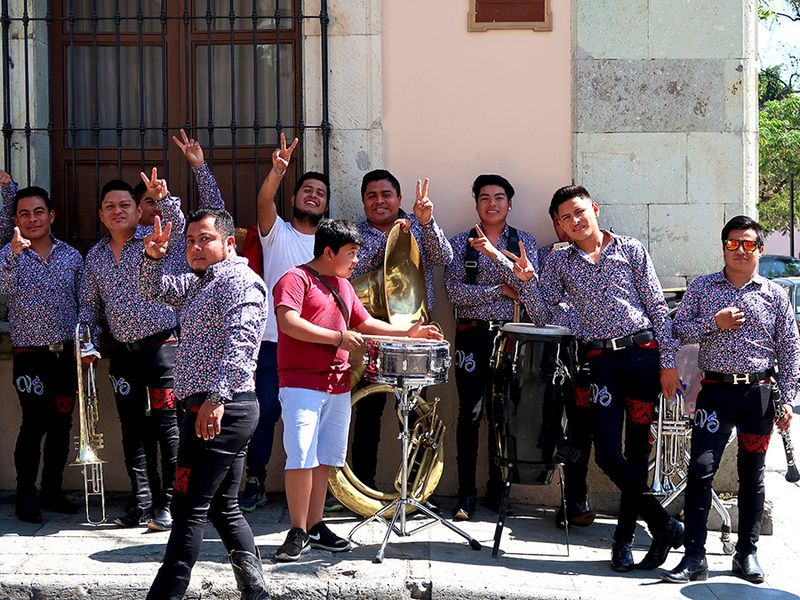 We strolled further up the Alcalá to the Instituto de Artes Gráficas de Oaxaca (IAGO), founded in 1988 by renown artist, philanthropist, and social activist, Francisco Toledo. First we wandered through the exhibition rooms and then into the impressive library. 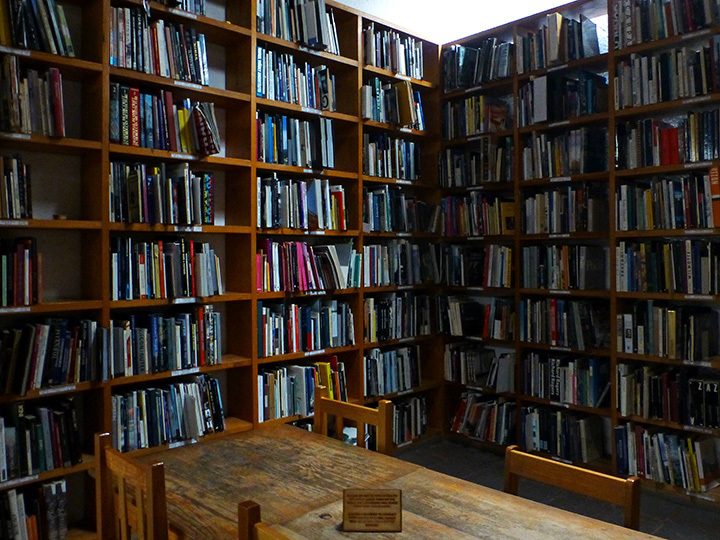 The 60,000+ books on art, architecture, design, photography, and much more is one of the most extensive arts-related collections in Latin America. A photography professor friend raved to me about finding a book at IAGO that he had been searching for and B (the architect) was ooh-ing and ahh-ing at titles he eyed — and pulled a few off the shelves to leaf through. IAGO also hosts lectures, conferences, musical performances, workshops, poetry readings, and film showings. Needless to say, by the time we finally left, we were hungry. Lucky for us, the acclaimed restaurant Pitiona was only a block away. 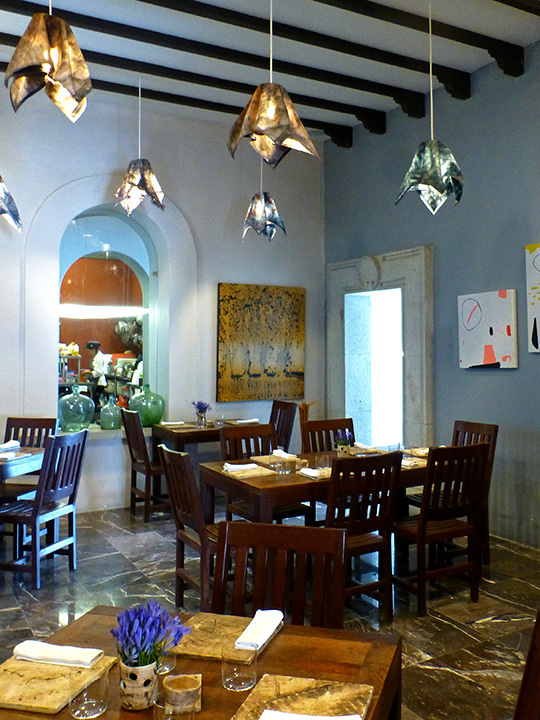 Born in Pinotepa Nacional, Oaxaca, Chef José Manuel Baños spent time in Spain under the tutelage of innovative chefs Feran Adrià and Juan Mari Arzak. However, as the name Pitiona (a native herb frequently used in Oaxacan cooking) suggests, the starting point for Baños is local ingredients. The simple elegance of the old colonial building and attention to detail in table settings, service, and especially food, made for a sublime interlude in the day’s activities. We descended the stairs of Pitiona to the sound of music coming from the atrium of Templo de Santo Domingo de Guzmán. 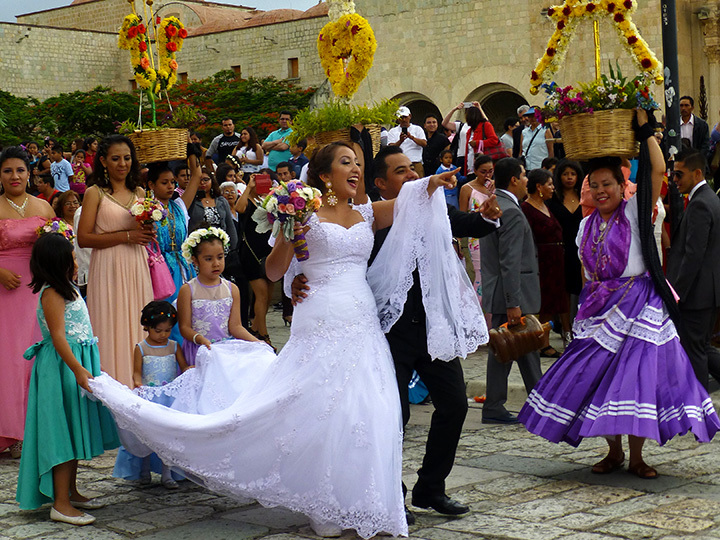 It was Saturday and that means wedding day at Santo Domingo – each featuring a band, folkloric dancers, marmotas (giant cloth balloons), bride and groom monos (giant puppets), a wedding procession down the Alcalá, and scores of tourists and locals stopping to watch — which we did, too! 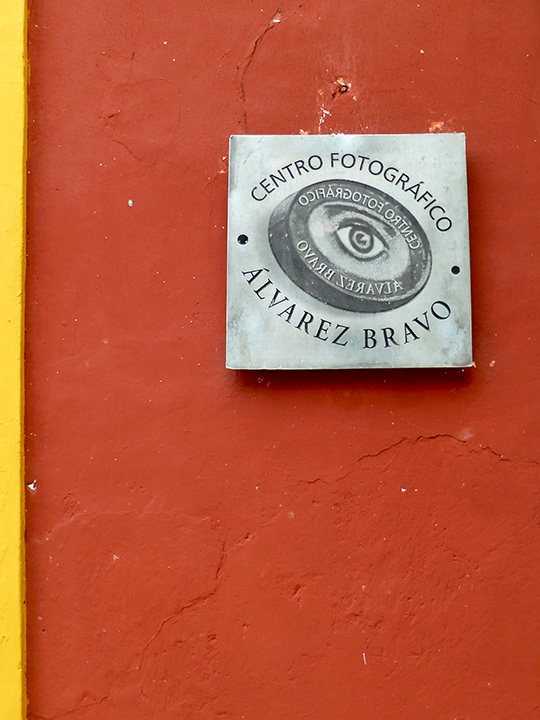 Our final stop was at the photography museum Centro Fotográfico Manuel Álvarez Bravo, another brainchild of Francisco Toledo. 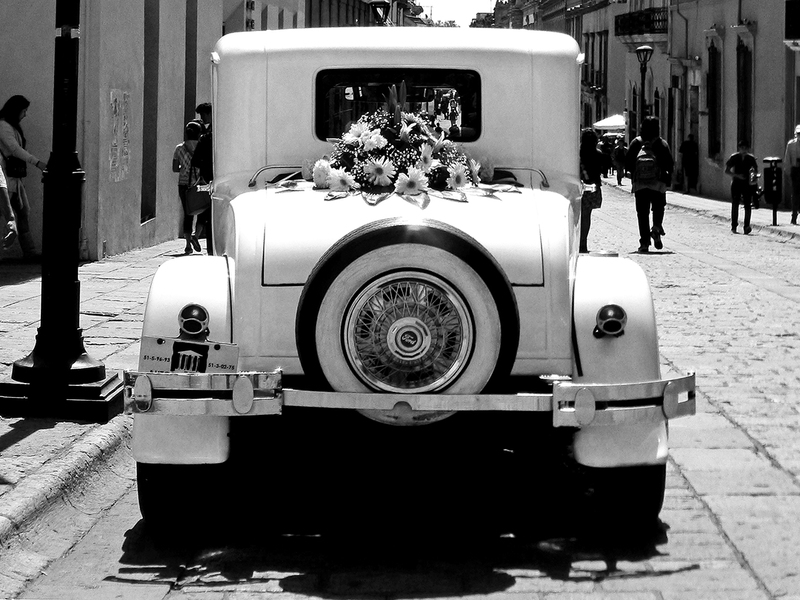 The museum has over 18,000 photographs in its permanent collection, including by its namesake Manuel Álvarez Bravo, his first wife Lola Alvarez Bravo, Henri Cartier-Bresson, Tina Modotti, Guillermo Kahlo (yes, Frida Kahlo’s father), and Mary Ellen Mark. Works from the collection and by photographers from all over the world are exhibited in galleries surrounding a beautiful courtyard featuring a reflecting pool. However, that wasn’t the end. 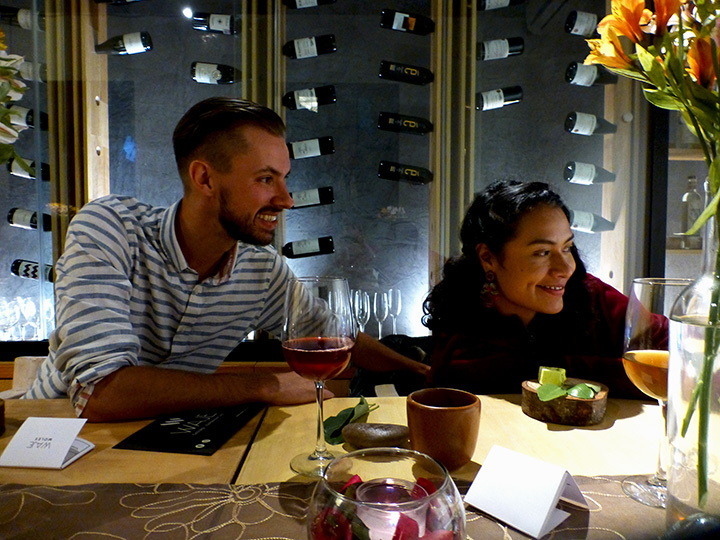 After a siesta, we gathered with eight other diners for a Waje pop-up dinner. The June menu was an homage to mole and the setting was at the restaurant Mezquite Gastronomia Y Destilado where Waje chef, José Daniel Delgado is the new chef. As always, José Daniel and his Waje team provided a creative, delicious, and delightful evening. An added bonus was being seated across from Jason Cox, co-owner and mezcal steward of El Destilado — a restaurant I definitely need to try. 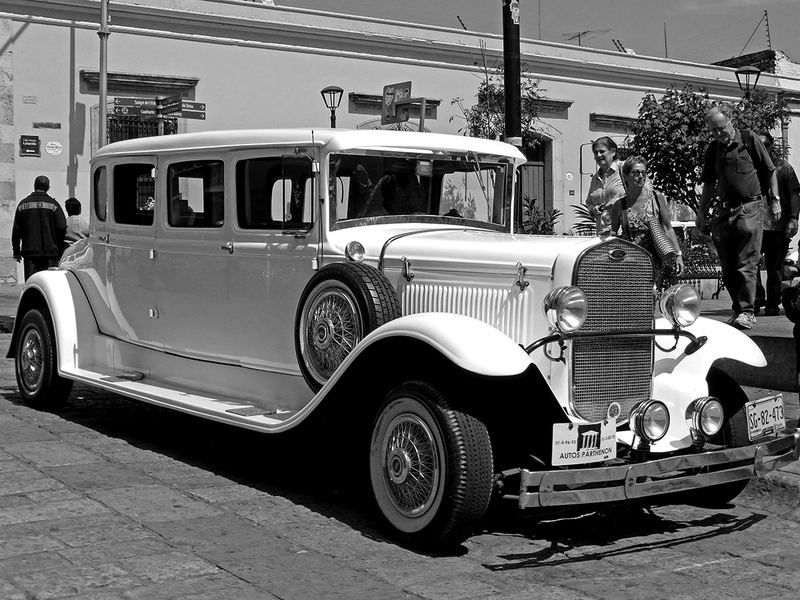 Only one day left in B’s Week in Oaxaca. Where to go? What to do? Stay tuned! 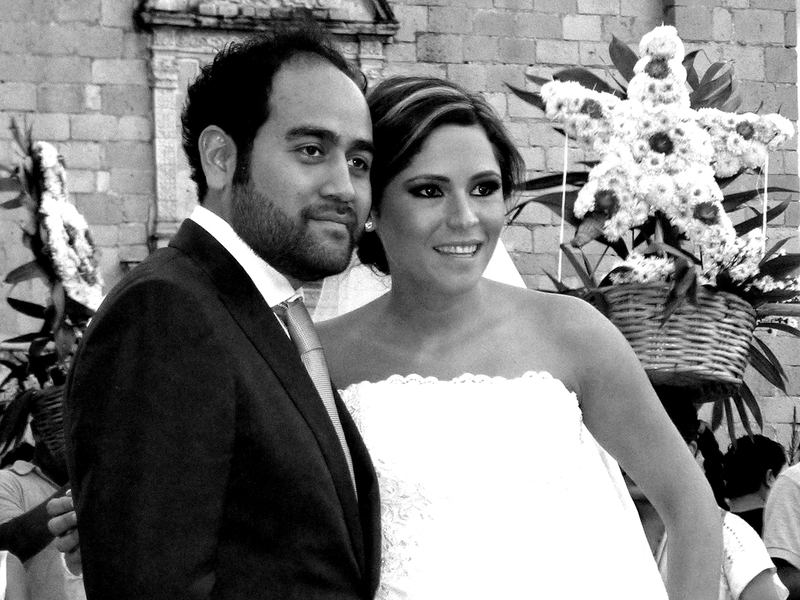 Saturday is wedding day in Oaxaca. *Lyrics from Black Limousine by the Rolling Stones. Friends from the USA arrived on Friday and yesterday I played tour guide, showing them around the city. It was great fun! Up to Organic Market we went, pausing along the way to photograph the always amazing street art (future blog posts), stumbling on a vela in honor of San Judas Tadeo (aka, St. Jude, patron of desperate causes and hospitals) at Carmen Alta church with women in full Tehuana traje (think: Frida Kahlo), and catching a wedding at Santo Domingo, with requisite band, dancers, monos, marmota, and women wearing impossibly high heels. 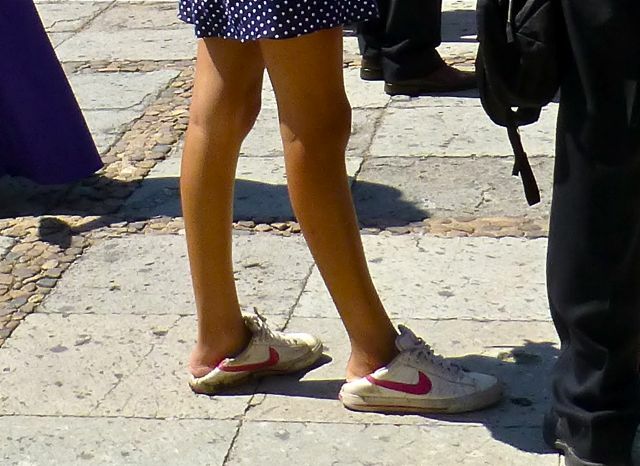 I don’t think I could even stand on a smooth flat surface, let alone walk on cobblestones in stilettos like that. If I even tried, I suspect I would wind up on the ground and severely tempted to start praying to San Judas Tadeo! 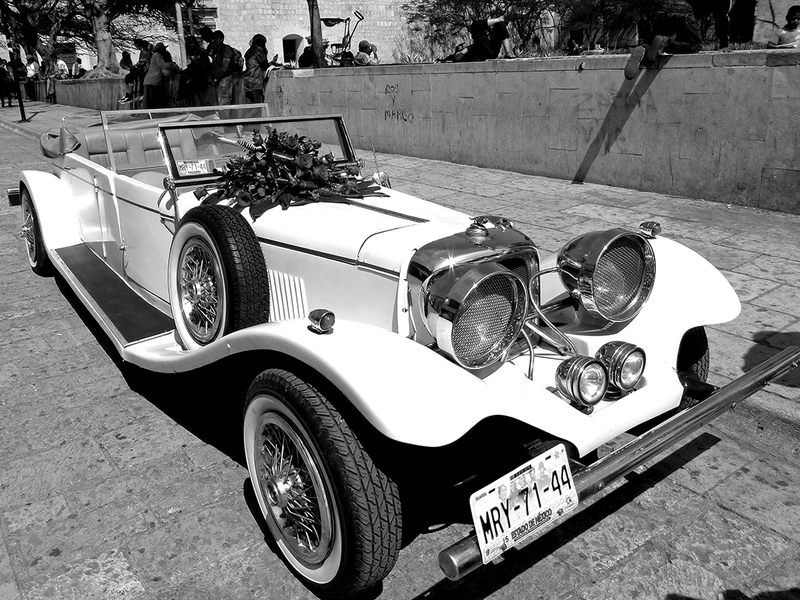 However, weddings at Santo Domingo are for the socially prominent and wealthy.